Poly Bag Central is your headquarters for flexible plastic packaging designed to meet your unique needs. 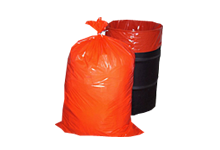 This section contains an array of specialty bags – both large and small – that provide protection for your products. Stock items ship within 24 hours. Food service packaging: This section contains an array of products specific to the food industry. You’ll find vacuum pouches in 30 stock sizes along with numerous stock sizes of polypropylene bags, clear wicketed bread bags, ice, lip & tape, sandwich and silverware bags. Oversized bags: Protecting furniture, garments and mattresses during the storage and shipping process is crucial to your bottom line. 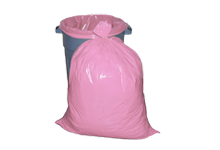 We have your needs covered with our extensive line of low and linear low density polyethylene bags. For easy dispensing, these bags are wound neatly on rolls. Shipping products: Whether your application simply needs a way to effectively protect a packing list or you need to meet postal regulations when it comes to mailing bags, Poly Bag Central offers solutions. Packing list envelopes are available in 11 sizes. 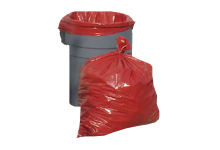 Postal mailing bags are approved by the USPS and offered in two different types to better meet your needs. Hanging Literature bags: Poly Bag Central offers bags that can be used to protect literature while also ensuring that it is highly visible. Hanging literature bags are available in two different sizes and are made of clear low density polyethylene (LDPE) to protect its contents. The convenient cardboard header makes it easy to load up materials while the hang hole is sized to allow ease of hanging on door knobs and handles of all types. 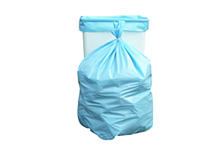 Newspaper bags: Choose fromlinear low density polyethylene or high density (HDPE) newspaper bags. The hang hole provides a quick and easy method of hanging newspapers on doors while the cardboard header allows for rapid loading of materials.